Did negligent security contribute to this horrific apartment shooting? Read Our Legal Take to find out if the victims may have a claim for substantial compensation. Five people were reportedly injured during a shootout at the Aspen Heights apartment complex early Sunday morning, May 1, 2016. Five people were apparently struck and injured in the hail of gunfire, including 26-year-old Saqer Alzhrani, Antavius Burns, 20-year-old Dynasty Freeman, and 24-year-old Tedarrian Deshawn Tipton, WGNS News reports. Police have not yet identified the gunmen, presumably leaving residents once again concerned for their safety. 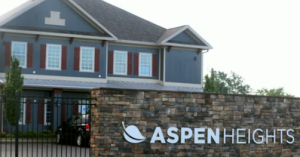 DNJ reports, “Aspen Heights has been the site of several criminal incidents recently, from car burglaries to other gun-related crimes….” Another violent crime raises grave questions over security at the complex. Apartment residents and guests have a right to feel safe and secure within the community. Given the alleged history of crime on property, The Murray Law Firm questions the level of security provided at the apartment complex and whether this horrific assault may have been prevented. How did the gunmen gain entry to the property? What security measures, such as gated-entry, security patrols, and surveillance cameras, were in place at the time of the shooting? Was the property owner or management aware of the large party and, if so, were any efforts made to restrict access or manage crowd control prior to the shooting? Were any additional security precautions implemented by the apartment complex owner to protect residents, following previous reports of crime on property? Generally, property owners are required to protect all residents legally on the premises from any foreseeable harm. Should the facts of this matter reveal that the complex owner or management company failed to provide adequate security to protect those on its premises, the victims may seek justice and elect to pursue a legal claim for their injuries.